For the bookworms of liberty. During last week’s Bookworm Hangout, someone recommended author Neil Gaiman’s The Ocean at the End of the Lane. I haven’t read it, but I’m an ardent Neil Gaiman fan and always will be even if I read none of his novels, because of the Sandman comic book series he wrote from 1989 to 1996. I think Sandman is one of the greatest stories I’ve ever read in any medium. My guess is that people don’t generally think of comic books (or even “graphic novels”) when we ask what they’re reading or what books they’d recommend, but why not? I think writers like Gaiman, Frank Miller, and Alan Moore deserve to be recognized as great authors. What comic books or graphic novels do you love? PS I heard someone say last week, “Liberty needs more funny.” We’ve all heard how much we need more art and music and popular culture to balance out all the serious intellectual content of our tradition. Does liberty need more comic books? What are the comics we already have? 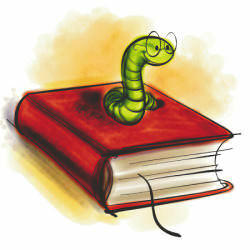 PPS Usual reminder: Bookworm Hangout is every Wednesday night at 8 Eastern. All welcome. Hope to see you there! Attack on Titan is a manga but it’s fantastic. It’s about a world where humanity has been reduced to a single walled city (as far as we know) and titans roam outside the walls eating anyone they encounter. It’s full of intrigue and amazing fight scenes. There’s also an anime that ran for a season and I believe has been renewed for a second season. The Runaways is a great comic book series by Marvel about a group of teenagers that simultaneously find out that their parents are supervillains and that they all have super powers of some sort. The art is amazing and is what originally drew me in but the story is what kept me reading. In the first series the kids know that one of them is feeding information to their parents but nobody (including the parents) knows until the very end who it is. It makes for a really interesting dynamic. Because they’re all kids and are just learning how to use their powers they make mistakes all the time and it’s really fun to watch. Did you read it in print or digital?